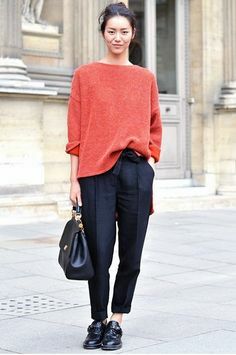 Trousers have become an essential item for the wardrobe and although most of us prefer to wear jeans, trousers can be considered casual too. With numerous styles and colours, I think everyone should own this staple item for their wardrobe. Cropped trousers are my favourite choice and are great with lace up shoes or converses, definitely an item you can dress up or down. 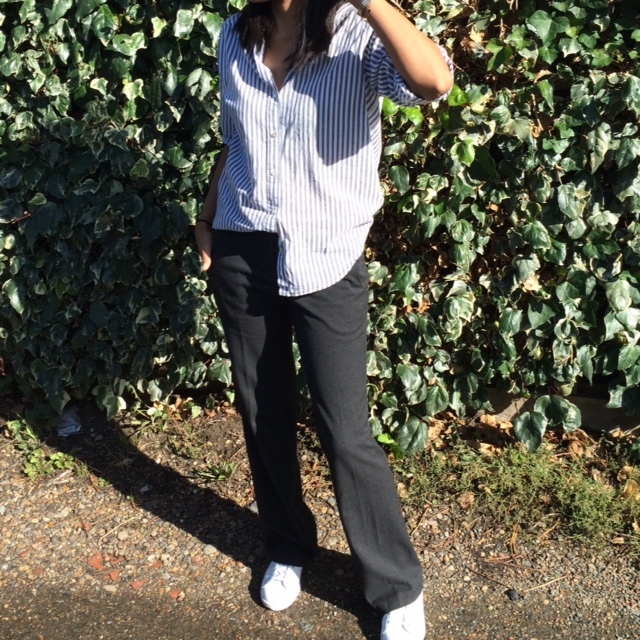 Below I'm wearing wide leg loose fit trousers which I've paired with trainers. Scroll down for more inspirations from Pinterest.